Posts tagged with "The Peninsula Classics Best of the Best Award"
A rare and beautiful 1936 Bugatti Type 57SC Atlantic was named the winner of the prestigious The Peninsula Classics Best of the Best Award today at The Peninsula Paris hotel. 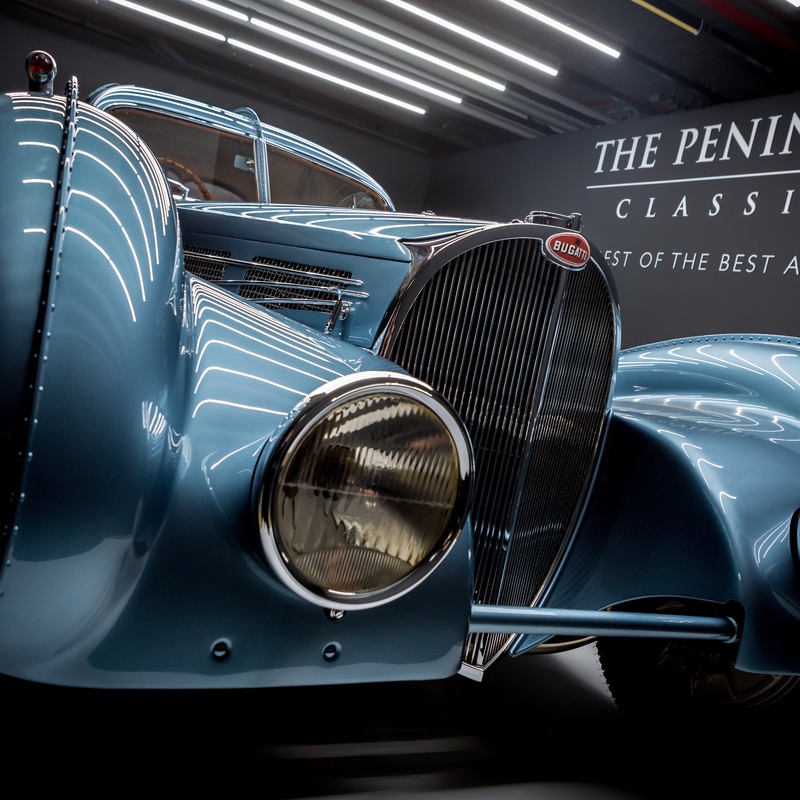 Now in its third year, The Peninsula Classics Best of the Best Award brought together eight of the world’s finest classic cars—the best of show winners from the top international concours—to compete for the title of the most exceptional motor car in the world. The Bugatti is co-owned by the Mullin Automotive Museum, and Rob and Melani Walton, located in California, USA, and was named “Best of Show Concours d’Etat” at the 2017 Chantilly Arts & Elegance. Powered by a supercharged engine and considered by many to be the first supercar ever made, the winning Bugatti is one of four Type 57 Atlantic models ever produced, with only three in the world remaining. The vehicle was designed at the height of the art deco movement by Jean Bugatti, Ettore Bugatti’s son. 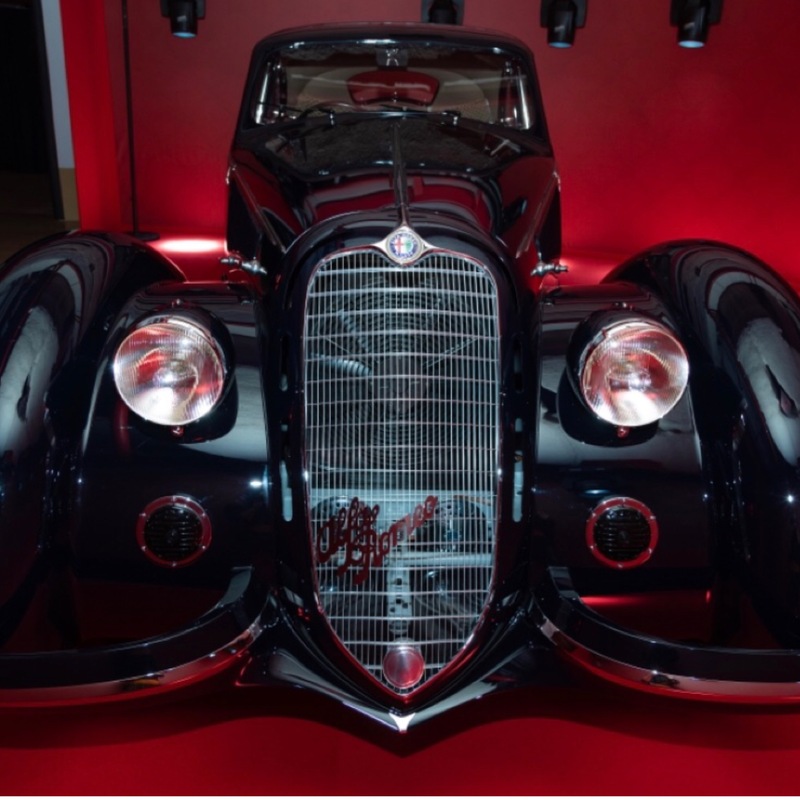 Jean based the car on his other design, the 1935 Aérolithe concept car, which was famously riveted externally, for fear of the magnesium-alloy body parts catching fire. Jean kept this signature riveted seam on the all-aluminium body of the Atlantic. This model, chassis number 57374, was the first Type 57 Atlantic produced and is the only surviving “Aéro Coupé,” a designation given to the first two cars that were mechanically very similar to the Aérolithe. The car was delivered new in 1936 to Britain’s Nathaniel Mayer Victor Rothschild, third Baron Rothschild, and has since passed through few owners in its 82-year history. 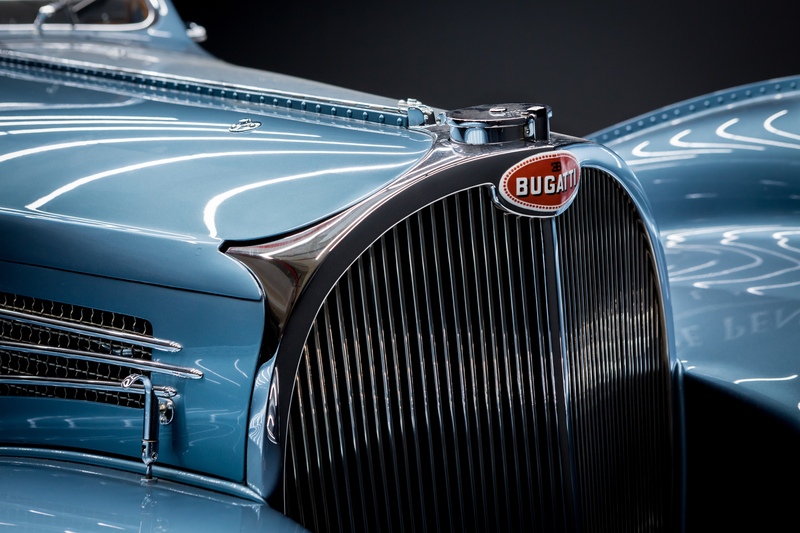 The car has been displayed internationally, and most recently, was on display at the Los Angeles-based Petersen Automotive Museum for the “Art of Bugatti” exhibit. 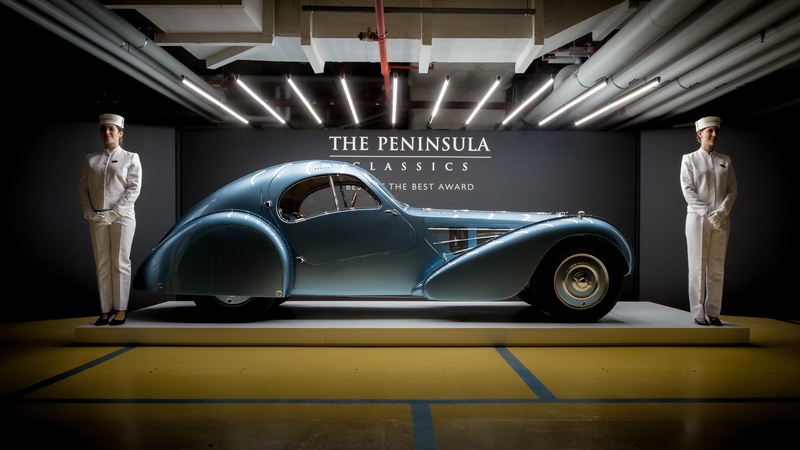 The founders of The Peninsula Classics Best of the Best Award are each known as some of the world’s foremost motoring experts, and were brought together by their shared passion for fine motor vehicles, impeccable restorations, as well as the preservation of tradition and heritage. The Hon. Sir Michael Kadoorie, together with award co-founders Christian Philippsen, William E. “Chip” Connor and Bruce Meyer, created the award that debuted in 2016. The gentleman each cite a passion for automotive excellence as the inspiration behind the creation of The Peninsula Classics Best of the Best Award. Previously presented during Monterey Car Week, the award moved to Paris this year to be presented during the world-famous Rétromobile event. The Bugatti was presented at an exclusive reveal party in The Peninsula Paris’ subterranean garage, following a private dinner. The winning vehicle was selected after being reviewed by 24 automotive experts, designers and notable celebrities within the motoring world. Learn more about each judge, in addition to the seven other nominees by clicking here. 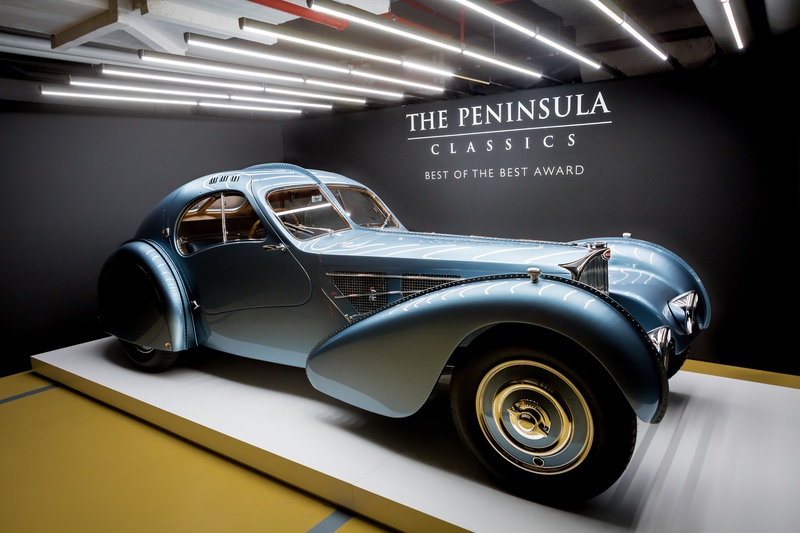 The Peninsula Hotels, owned and operated by The Hongkong and Shanghai Hotels, Limited, is proud to sponsor The Peninsula Classics Best of the Best Award, a natural extension of the group’s passion and appreciation for luxury, travel and the motoring lifestyle. With 10 hotels in global gateway cities throughout Asia, USA and Europe, The Peninsula Hotels celebrate glamour in travel, and aims to showcase the ultimate in sophistication, innovation and design. Known for its timelessly elegant hotels, discreet integration of technology and functionality, and extensive fleet of luxury transport, the group aims to bring its heritage and expertise to celebrate the very best in the world of motoring. For more information, please visit http://peninsula.com/bestofthebest. This entry was posted in Auto and tagged 1936 Bugatti Type 57SC Coupé Atlantic, 360, 360 Magazine, Aéro Coupé, art of Bugatti, auto, Bugatti, Classic, Diana Macaraeg, Hong Kong, jean Bugatti, luxury, Mullin Automotive Museum, Shanghai, Sir Michael Kadoorie, supercharged, the peninsula classic, The Peninsula Classics Best of the Best Award, Vaughn Lowery on February 9, 2018 by Pitch360.